On 5 May 1971, The Surge of Fire was performed for the third time at the California Institute of the Arts, under the direction of James Tenney. A meeting with the young pianist Michael Sellers led to the latter's decision to perform many of the Rudhyar works for the piano, beginning a surge of interest in Rudhyar's music, which had remained so long unperformed. 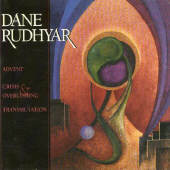 The new interest in Rudhyar’s musical work which began during this period, and continues to grow decades later, can be related to the revival of the music of the composers who were active in the early days of the International Composers Guild — from Varése, Ives and Ruggles to Henry Cowell, all of whom were close friends and associates of Rudhyar’s. Additionally, many people who had been eagerly listening to the long forgotten music of Scriabin were quite naturally responding to Rudhyar's music, which, unlike as it is in many ways to that of the Russian mystic, is essentially an inner-directed and profoundly psycho-spiritual type of musical expression. Rudhyar's music is "a music of speech, in contrast to the typical classical music of Europe which was born of dance rhythm and popular songs, or else developed along formalistic lines stressing ‘patterns’ rather than ‘tones'." Rudhyar often stressed the "basic difference between notes and tones, between music to be looked at (the score) and a music composed of tones charged with an intensity of personal experiences." His music is a music of "speech"— speech "beyond the rationalism of modern language-because in it a living person speaks out directly and spontaneously in resonant tones; thus the freedom of its tone-flow and the impossibility of straight-jacketing this durational flow into the rigidity of regular bars and standardized formal developments." Rudhyar’s popularity, especially among young people, continued to grow. Several publishers, large and small, sought his works and 1973-74 saw the publication of several titles. Rania, An Astrological Mandala and Return From No-Return were published in 1973, and during the following year We Can Begin Again—Together and The Astrology of America’s Destiny were released. 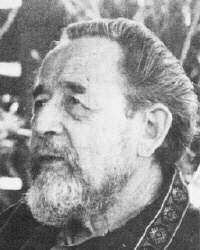 During this period Michael R. Meyer was instrumental in placing Occult Preparations for a New Age with the Quest Books imprint of the Theosophical Publishing House, thus beginning Rudhyar’s long and fruitful association with Quest Books, which published a total of six of Rudhyar’s titles during his final decade. 1975 was also the year Rudhyar resurfaced the theme of "Transpersonal Activity," first in the booklet From Humanistic to Transpersonal Astrology, and later that year in The Sun is Also a Star – The Galactic Dimension of Astrology. Regarding his use of the term "transpersonal," Rudhyar states, "I began to use the term transpersonal in 1930, long before the movement of transpersonal psychology was started, and with a meaning quite different from the one the word has recently taken in the field of psychology. I defined as transpersonal a process of ‘decent’ of transcendental spiritual power and illumination through the normal consciousness, and eventually through the whole personality of a human being. The source of that power and light exists in a realm ‘beyond’ the personal consciousness and the ego, but I saw in the transpersonal action a descent of power rather than an ascent of a person’s consciousness and emotions." Web design copyright © 2000-2004; by Michael R. Meyer.